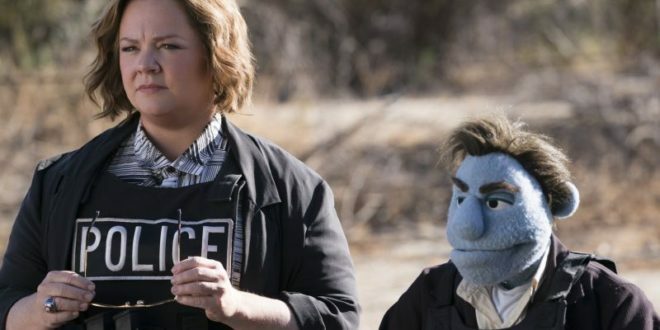 The ‘Happy Time Murders’ is a movie that abuses our childhood sensibilities – playing off memories about puppets and nostalgia. Created by the minds behind the Jim Henson company – the movie features profuse profanity, puppet noir, perverse sexuality and line after line of “powdered sugar” use. It’s intentionally offensive, and just like Avenue Q or Team America World Police – it uses quite technical puppeteering techniques to execute very adult themed jokes. Unfortunately, this sort of degenerate comedy is the best the film has going on for it. 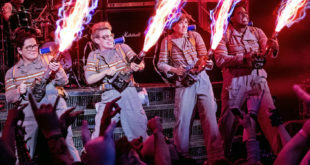 The film’s funniest setups were mostly featured in the trailers. Too often had the gags felt passive and forced in – serving little purpose beyond showcasing excessive violence and viscera, mostly in stuffing form. I found this joke most repetitive: that it’s puppets instead of humans and so the pain is laughable. Though I found some of the bits that worked hilarious, the plot and story building in and of itself is rather lackluster. Worst off is that the message, or lack thereof, is shy of compelling. The movie feels shallow. For instance, its universe is heavily grounded in an us (humans) versus them (puppets) social class struggle. Whereas puppets were former playthings for human’s amusement, they are now seen as independent beings struggling in a world of inequal rights. Despite this, the film never takes off or seems to address this issue. 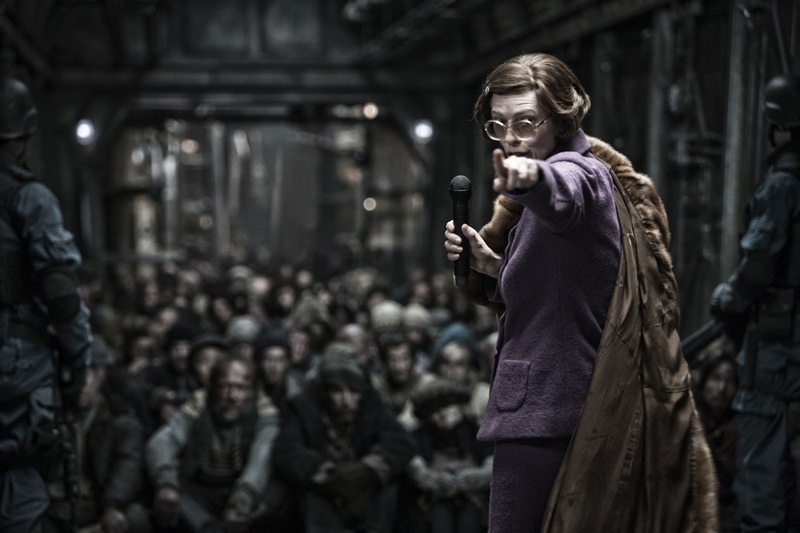 Whereas in a movie like Zootopia, where class issues were grounded in elements building the story conflict, this movie forgoes any prominent messages of class or racial issues. Instead, it follows more of a Buddy cop format about ex-partners, one of whom is a puppet, reluctantly needing to team up again to solve a crime. I wanted to like this movie. But it was boring between the gags. It doesn’t try to break out of its film noir mold – which hurts the story as its very predictable. In comparison, ‘Who Framed Roger Rabbit’ used a similar technique of walls breaking noir with animated characters, but it also drew on jokes about pop culture, innuendo and jokes poking fun of cartoon customs. ‘Who Framed Roger Rabbit’ was a good movie because it tried to be technically different while embracing the strengths of its genres. ‘Happy Time Murders’ tries not to reference its origins and is more about watching puppets head’s get blown up and turned into cotton spew. The ‘Happy Time Murders’ is hands down one of the most offensive movies of the Summer. Directed by Brian Henson, the son of Jim Henson, and written by Todd Berger. It’s a story about former LA detective turned private investigator, Phil Philips (Played by Bill Barretta of Muppet Fame). Phil was the first puppet detective, who lost his job for himself and all future want to be police, puppets – when he accidentally shot an innocent puppet/father while trying to save his partner in a holdup. He is called to investigate a case regarding murders of “The Happytime Gang,” a once popular puppet show from the 1980’. Out of convenience’s sake for conflict building, one of the members of the cast is his brother, and yet another, his ex-girlfriend. On the police end of things, is Phil’s ex-partner, Connie Edwards (Melissa McCarthy) who out of necessity to solve the case, needs to work with Phil to solve the crime. This fleshes out the majority of the buddy-cop movie format, as Phil and Conny relearn to work together to stop the murders from happening. All while investigating the criminal puppet underworld along the way. In typical L.A. noir fashion, there’s also a dame in distress, drugs (sugar in this movie) and ultra violence (cotton mostly), the necessary police chase and excessive cigarette smoking. Though I won’t go too into details, as even that little amount would spoil this very shallow movie. Now Jim Henson himself had always wanted to use puppets in adult storytelling. And so in a sort of homage Jim Henson’s son, Brian Henson, directed the movie. It was a project that took 10 years to green light – with extensive rewrites by many writers, including Melissa McCarthy. So the Happy Time Murders tries very hard to be offensively jarring – so much so that even Sesame Street even tried to file a lawsuit – which lost. So while the technical set-ups and staging (Stay for the credits as they go into the extensive work behind the film), the movie’s script is just… awful. As a screenwriter, I can say that the movie seems like it melded too many iterations and the result, is sort of a patchwork story with holes filled by clichés and gags to distract from the lack of substance. Which of course leads to this scene from the trailer. The ‘Happy Times Murders’ is technically sound yet awful in story. It probably works better as a series of digital shorts than a full fledged movie. Previous ‘Better Call Saul’ Season 4 Review: ‘Breathe’ and ‘Something Beautiful’.